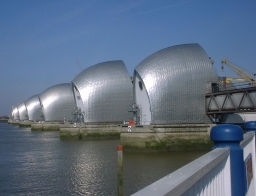 On Saturday 15 March 2003 I visited the Thames Barrier. 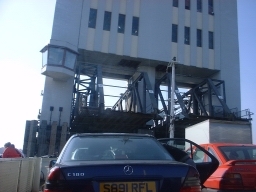 Here are my photos, as well as photos of the car ferry crossing. 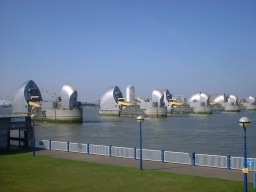 If you are thinking of visiting the barrier, you can read which days it will be lifted for maintenance here. However, my trip was on a normal day. The Environment Agency say that the Visitor Centre and Cafe are open 7 days a week on their site, here, but it was closed when we arrived on a Saturday lunchtime - as was the carpark. Regardless, it was still an interesting sight. The full set of photos are unindexed here. 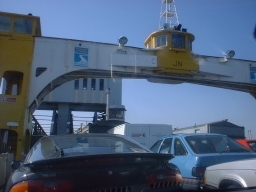 Queuing for the car ferry. 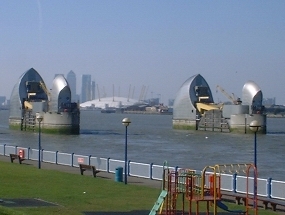 View from the car ferry - the Barrier, Dome and Canary Wharf towers visible. 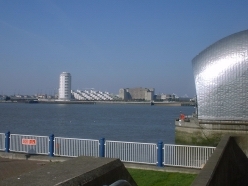 Two of the Barrier islands, with Docklands in the background. 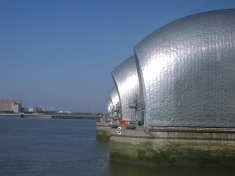 Barrier islands span the Thames. 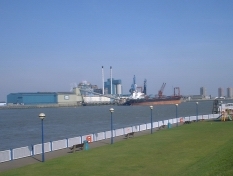 Tate & Lyle's factory, on the opposite bank. 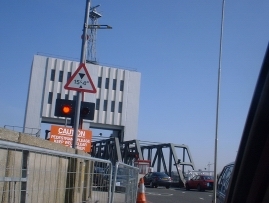 Entrance to the tunnel around the barrier. 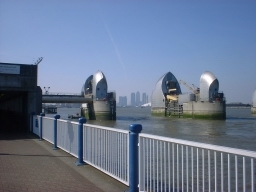 On the walls are line and date maps of the Thames. All of the islands visible, at close range. The other side of the barrier. 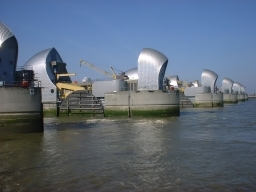 The material covering each island is visible. Together they look quite space-age. 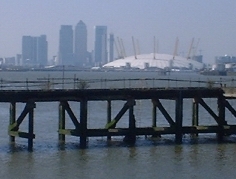 The Dome and Canary Wharf towers, behind a small jetty. 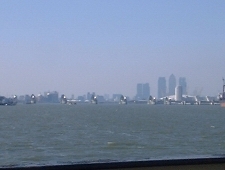 Final view of the row of islands. 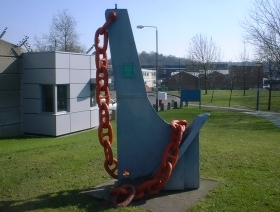 Anchor statue outside the visitor centre. 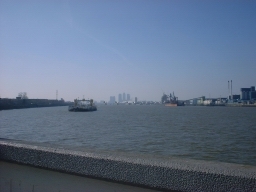 Another ferry is visible on the Thames. 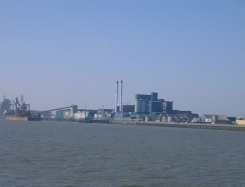 Tate and Lyle factory visible from the ferry. Finally the ramps are lowered so we can drive off.